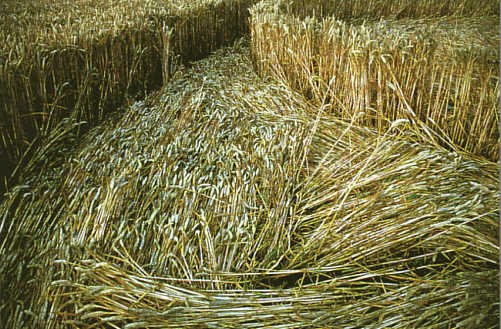 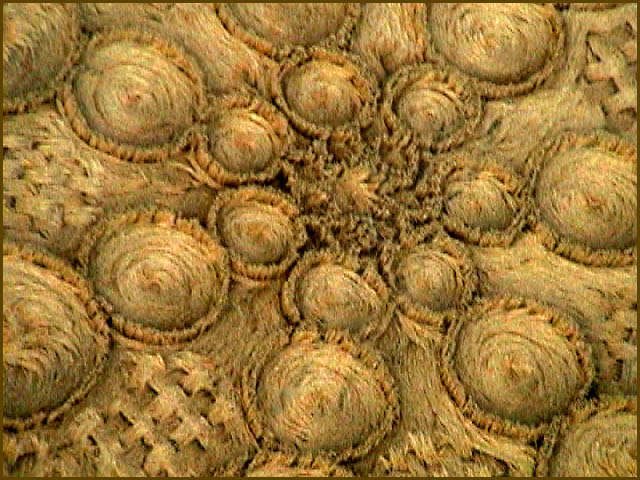 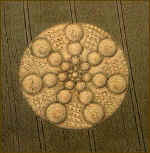 Seven-fold radial symmetry in the overall pattern and seven stalks of wheat standing in the circle's centre! 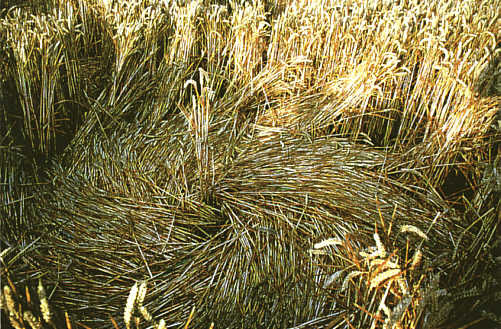 Each stalk of wheat, or other crop, is individually softened and bent without killing the plant, or in any other way harming it, except for a local disturbance of the chromosomal material at a microscopic level. 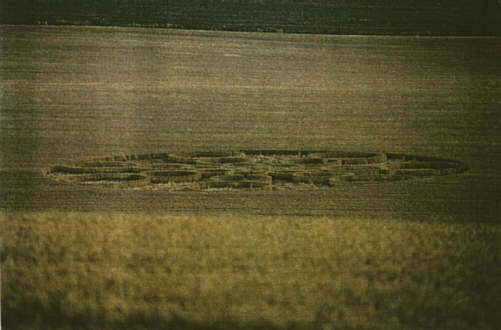 This is produced by a process unknown to terrestrial technology, which leaves a small dose of short half-life radioactivity behind. 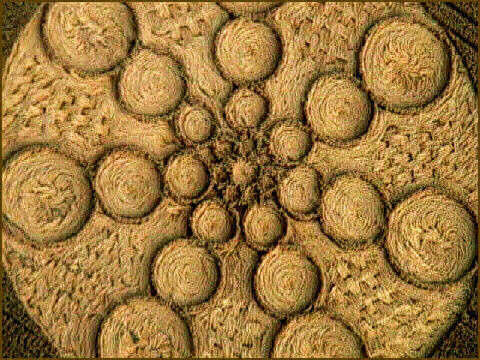 Check out the abstruse mathematics underlying this art.